WASHINGTON—As he began his tenure serving as President Trump’s national security advisor, John Bolton reportedly arrived in the White House Tuesday excited to see so many familiar wars. “Afghanistan and Iraq are still here? 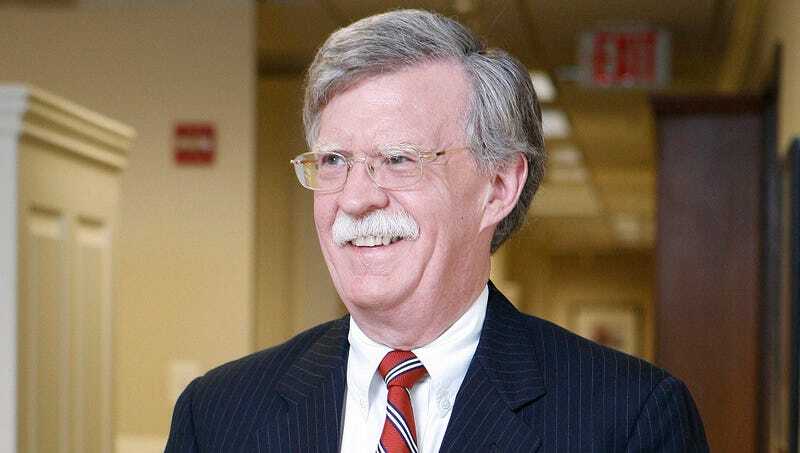 Man, things haven’t changed a bit,” said a thrilled Bolton while making the rounds in the West Wing, adding how happy he was to see so many military conflicts he recognized from his time serving in the Ronald Reagan, George H.W. Bush, and George W. Bush administrations. “Wow, I can’t believe how many of the old War on Terror military campaigns are still around—Northwest Pakistan, Somalia, Libya—great to see them all. And Yemen was barely even a conflict when I was last here, and now it’s really come into its own. There are a few promising hostilities I haven’t become acquainted with that I’ve been hearing good things about, too, but overall, it feels like I can just pick up right where I left off.” Bolton added that he was also excited to bring a few new wars aboard, mentioning North Korea, Iran, and Turkey as conflicts he wanted to work with.